For many years, licensees and companies have trusted Pacific Emblem to make their production for various custom branded and licensed products. From design to sampling to manufacturing to shipping, we know how important getting the products right the first time are. We also offer packaging, UPC Code placement and more. With limited time in some cases, we know that your priority is special pricing, early deliveries and superb quality. We will work closely with you and bring your branded and licensed products to life. 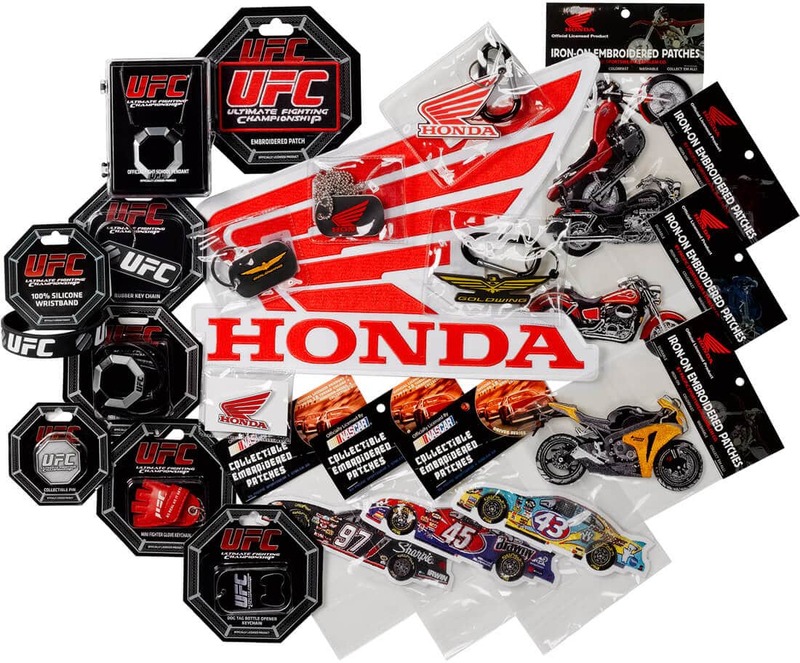 See some of our work at www.HondaPatches.com (HONDA MOTORCYCLE LICENSE) and www.MMAProductsOnline.com (UFC LICENSE). Take the next step and give us a call or email. Enter in your licensed product information below, and we will have a quote for Licensed Products to you within 24 hours. It's that simple!